If your bathroom requires a serious makeover, we’re here to offer you our help. We believe that the bathroom should be a welcoming oasis and a relaxation place, so what better way to achieve that if not with some cool new bathroom decor? Go through our selection of products and choose the items that will dramatically improve the look of your restroom. After all, what better way to finish a demanding day at work if not with a hot bath, surrounded by scented candles and luxurious and soft bathroom towels? If you’re in the market for beautiful bathroom mirrors, this item from MCS is definitely worthy of your attention. It is available in four different frame colors to easily match the rest of your decor. The 3-inch wide frame features a beautiful and antique bronze finish that will add a touch of elegance and luxury to the room. The product is delivered with 4 D-ring hangers that allow you to easily install it vertically or horizontally, depending on your preferences. In addition, the mirror is made of high-quality glass to ensure a realistic reflection. This beautiful set of four embroidered towels is the perfect gift for your friends and relatives. The set includes two small hand towels, a bath towel, and a washcloth, all made of 100% soft and pure cotton. The spa-like quality of the towels will improve the comfort and relaxation after a long day at work. All items included in the set are super absorbent, leaving your skin dry and smooth in just a few minutes. The beautiful palm-tree design and the stone-like beige color perfectly matches natural and rustic bathroom decors. All products are machine washable and will maintain their softness even after multiple uses and washes. This beautiful shower curtain is decorated with yellow and grey flowers to recreate the look of a waterfall. The item is made of 100% polyester and is highly resistant to water and humidity. It won’t mold and won’t favor the spread of bacteria. You can easily wash the curtain in your regular washing machine if you put it in a laundry bag with products of similar colors. The producer doesn’t recommend using chlorine bleaches or long cleaning cycles. In addition, you should tumble dry low the curtain and avoid ironing it. The item measures 72 inches in length and 72 inches in width. This exclusive set is equipped with all necessary bathroom accessories, including a liquid soap dispenser with a stainless steel pump, a wastebasket, a towel holder tray, a toothbrush holder, and a cotton swab bow with lid. All items in the set are made of high-quality and long-lasting bamboo wood, suitable for completing the decor in natural and rustic bathrooms. What we really liked about the set is that you can use each of the items in various ways. You can serve drinks on the bamboo tray and replace the toothbrush holder with pencils, pens or paper clips for a more organized working desk. This beautiful bathroom sign is the perfect addition for restaurants, cafes or even your own home. It is made of white resistant MDF wood and hand finished using the newest painting techniques. The item is proudly made in the United States and measures around 10 inches in height and 15 inches in width. The product is delivered already wrapped so you can offer it as a gift on its own or alongside other bathroom products. The customers who purchased this bathroom sign were pleased with its quality and design, saying it is elegant and easy to hang with the help of two nails. If you’re looking to complete your marine bathroom decor, this beautiful toothbrush holder is the perfect accessory. It is made of naturally distressed wood with a patent finish for a more authentic look and features carved shells and a hand-painted finish. The inside of the holder offers two separate compartments to put the toothbrushes and the toothpaste. The two compartments are large enough to accommodate your electric toothbrush as well. The Zenna Home line of bathroom accessories also includes a soap dish, a tumbler, a wastebasket, a shower curtain, and a lotion dispenser with similar seaside designs. Your night trips to the toilette have just become cooler thanks to this colorful light. The product features a motion and light recognition sensor that will detect your body heat to provide a calming light whenever you enter the bathroom. It will also automatically shut off whenever you leave the room, maximizing the battery life. The item displays 16 different colors and benefits from a 170-degree coverage that will detect motion on a wider angle than other toilette lights. What we liked about this particular product is that you can opt for a single color or for all 16 to work on rotation. This set of two decorative artificial plants can be placed anywhere inside or outside the house, including in your bathroom for a more zen and natural look. You can put it on the bathroom counter or on a shelf and enjoy the positive vibe it offers. Both plants look extremely real so you can easily forget that you don’t have to water them constantly. The base is made of a paper pulp so you should avoid direct contact with water or other liquids. And the best thing about artificial plants? They remain virtually the same, even after years. If you’re looking to turn your bathroom into a real relaxation corner filled with positive vibes, why not add some cool wall decors and plants? This set of four different bathroom quotes is perfect to be displayed on large blank walls and will go well with all decors. Each of the quotes is printed on heavy quality photo paper to ensure a long-lasting design. The set includes four different quotes, all on 8×10-inch photo paper. You can display them any way you want – all together or scattered on the entire surface of the wall. All you need is to purchase some additional cute frames and they’re ready to brighten your morning. If you’re looking for fun and inspirational quotes to display in your bathroom, this box sign from Primitives is definitely an option worth considering. The product measures 4×5 inches and is specifically designed to stand on its own. However, you can also hang it on the wall and enjoy its wisdom everytime you enter the bathroom. This sarcastic sign says “You Never Know What You Have Until It’s Gone. Toilet Paper, For Instance” and we reckon it makes the perfect gift for your significant other or best friend. This cute and unique bathroom decor will certainly brighten your mornings. The French claw foot bathtub is made of top-quality porcelain and can be used as a small planter, an accessory tray or as a soap dish. The old French writing adds a touch of vintage and elegance to the all-white design of this product. Thanks to the small dimensions, it can be placed anywhere inside the house – on the coffee table, on the kitchen counter, in the bathroom, on your window or even on your patio. When you order the item, bear in mind that it doesn’t include the flower. This three-bulb light system is suitable for tall and large bathrooms. The rustic black finish is perfect for industrial or vintage-decorated bathrooms and will provide a touch of elegance to the ensemble. It works with three 100W light bulbs that are not included. The system can be easily mounted and will provide a bright light, perfect for reading or indulging in your beauty rituals. Most customers who ordered this item were pleased with its quality and design, saying it looks just like in the photos and that it can be easily mounted in under one hour. If you are in the market for some interesting ideas about how to make your bedroom look and feel cozier, you are in good hands. Because we know that finding cute homemade bedroom decorations is not a task without difficulties, we are here to lend you a hand. So, keep on reading and see what projects are worthy of your time and attention! Let’s be honest, a simple google search for cool bedroom décor can make one unsure if he/she is ready to actually start redecorating his/her bedroom. The issue with this job is correlated with the fact that the net is filled with many similar products that are up for sale as well as with countless DIY projects. To make this process easier for you, we have selected a handful of ideas and aspects that you should definitely consider before you start decorating. The first thing that you should think about before you start working is the distinction between cool bedroom decorations for guys and appropriate bedroom accessories and art for girls. As you already know, usually the boys and the girls have distinct tastes when it comes to décor. Consequently, while boys are interested in having a room that depicts their manliness, girls tend to embrace all decorating ideas that bring a spark of color and personality to their bedroom. Therefore, extra caution is advised. On the one hand, if you are looking for ideas to decorate a boy’s room, we suggest that you stick to cold, darker colors and that you invest in tech-related gear. For instance, if you want to make your son’s bedroom look homey and also unique, we suggest that you spend some time on creating a faux bricks wall. Although at first, this might sound difficult, you should know that there are plenty of DIY, cheap step by step projects that you can access online. On the other hand, if you are interested in decorations that are suitable for a girl’s bedroom, it might be a good idea to create a delicate and inspiring string art sign or a comfortable hammock chair. Moreover, you could let your imagination wild by making handmade tie-dyed pillowcases or a DIY clothespin mirror of her favorite memories. Nonetheless, your possibilities are endless as the internet is filled with various projects. Another aspect that you should decide is whether you want to purchase the decorations from a store or if you want to create them yourself. Although there are certain advantages of DIY items, some people simply don’t have the needed time that these projects require or, better yet, they know that they are not handy enough to carry out such a project. If this is the case with you, the best thing you could do is to settle for store items. For example, you could purchase a fluffy, statement rug or a new set of fun looking pillows that will bring a burst of color and inspiration to one’s room. Similarly, you could buy new sheets that feature images of one’s favorite TV show, movie or animated character. If you are a handy person, it could be said that your options are unlimited. For instance, a cool idea is to create a beautiful Polaroid wall with string lights that contains your favorite memories. This project is fairly simple to carry out as it only requires that you use adhesive hooks, string, clothespins, and Polaroids. If you believe that this is the project for you, we warmly encourage you to search for specific instructions online. Similarly, one could make an eye-catching yarn chandelier, a handcrafted doily lamp or a fun pom pom chair. In order to end up with a personalized, snuggly bedroom, one should also take the time to think about the following suggestions. For starters, if our bed’s construction allows for it, you could take your comfortable bet to another level by adding some bed curtains. Still, if you decide t do so, we recommend that you pick a patterned model as this will add substance and texture to the overall look of the room. Next, you should choose relaxing colors. For example, it might be a good idea to purchase lavender sheets as this color induces tranquility and an overall feeling of comfort and relaxation. To make the bedroom even cozier, you could also purchase thick drapes that do not allow the light to enter the room when you are sleeping. By having 100% control over the light, you can rest assured knowing that nothing will disturb your afternoon nap. What is more, it might be a good decision to invest in lighting bulbs that are not very powerful. According to the specialists, a 15 watts bulb should be enough. If you like to read while in bed, you might find buying a bed lamp a good idea. Moreover, it goes without saying that one should buy as many blankets as one feels necessary. 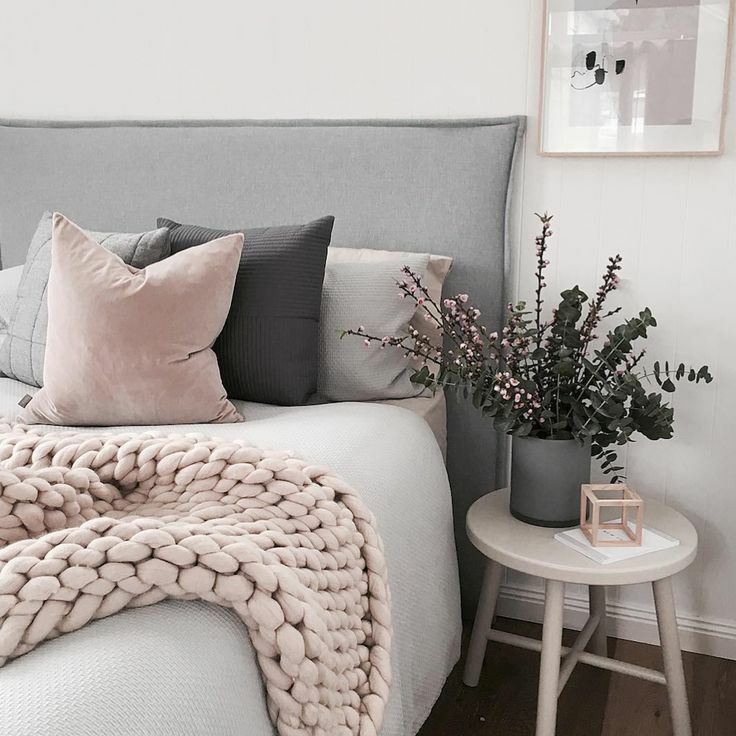 If you decide to do so, go ahead and pick blankets that have different textures and that complement each other’s colors by mixing colorful units with soft neutral colored ones. Last but unquestionably not least, if you want to make the best of what you have, some specialists recommend that one creates a faux fireplace. By doing so, you will feel like the room is warmer and more appealing. So, don’t waste any more time, make a budget and start transforming your favorite room into the best place to be during the cold months of winter. For more projects and ideas for beautiful decorations for rooms, you should go online and search for DIY videos and guides, as they are very helpful and engaging. Until next time, have fun decorating!